From single furniture transport to moving of entire apartments, our house movers can take care of all the moving for you. Our office movers and packers will wrap and transport all your office equipment and furniture to your new office. We provide container relocation and will settle all the necessary paperwork and planning details for you. Looking forward to moving to your new place? Do not let the packing of clothes and furniture dampen your mood. Rentalorry’s movers are here to provide you a fuss free and pleasurable moving experience. Our team of movers and packers are well-trained and experienced and can quickly and smoothly help you move into your new place. Available even on weekends and public holidays, our moving services give you the flexibility to choose which dates you wish to carry out the move. Our cheap and affordable rates also ensure that you do not have to burn a hold in your pocket when you choose to move to a new place. Our team of movers and packers have years of experience in the moving industry. Our sales team will provide you with a free quotation once you let us know what are the items you have to move. With our large fleet our vehicles, we can also choose the best vehicle to suit your needs so that we maximize cost efficiency. Rentalorry’s mission is to make your home relocation an enjoyable and less stressful experience. 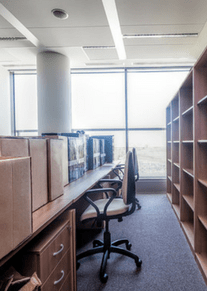 Our commercial moving specialist will visit your office to do a site survey and compile a list of items that need to be moved. From there, we will determine the special equipment we may required to carry out the move as well as the necessary manpower. With years of experience in this area, our staff would be able to guide you through the entire process of relocation and provide you with moving tips and advice whenever they can. With a wide network of international moving partners all across the globe, moving your furniture out of Singapore is a very simple task. Our long-term partnerships with these companies has also allowed us to provide some of the most competitive moving rates. We have years of experience in the moving industry and our reliable and experienced team of movers and packers will properly survey the moving site first to determine the type of equipment required for the move. From fragile items like pianos or fine china to large equipment, you can rest assure that our team will make the arrangements to have them transported safely. Rentalorry fleet of diverse vehicles are specially fitted to transport home furniture and office equipment. With the proper fittings, we are able to secure your furniture so that it is not thrown around and damaged on the rough journey to your new home or office. From boxes to bubble wraps, our team can provide you more the necessary supplies to organize and arrange your goods become we arrive to bring them to the new place. Proper packing will also facilitate your unloading and unpacking of items at the new place.